Lausanne, 28th January 2018 – The sun shines today on the Andorran mountains. 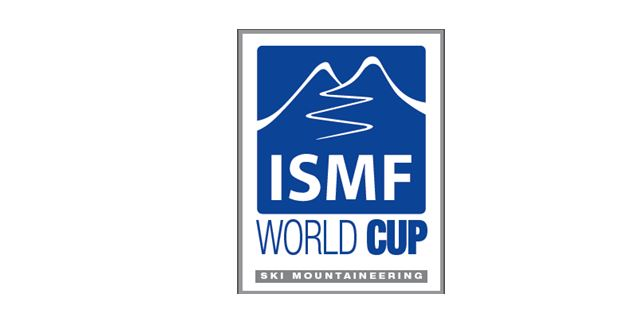 After the adverse weather conditions that yesterday induced Local Organisers Committee and the ISMF staff to cancel the Individual race scheduled in Arcalis, athletes faced important race tracks with different lengths and heights. 730m of difference in height for both senior categories and junior men. The youngest women athletes competed in a shorter route with a vertical rise of 465m. At the end of the Open race, in which lots local athletes competed in, spotlight were all on the bigs, coming from 13 different countries. It was absent due to an injury the World Champion Kilian Jornet Burgada. The Alpago-Piancavallo 2017 winner, Andrea Mayr, partecipated with a single purpose: be on the top of the podium, but the French Axelle Mollaret and the Swedish Emelie Forsberg overtook her gaining respectively the first and the second positions. For men’s race it was Michele Boscacci (ITA) who immediately took the lead, Remi Bonnet (FRA) was all over him. Behind them there were the German Anton Palzer and the light blue Davide Magnini. In the middle of the race Palzer and Magnini reversed the situation and outpaced the opponents. The Italian Magnini continued to fight in the German’s shadow, the public was very excited and cheered him up from the track sides. Magnini tried to overtake Palzer, but he soon speeded up the rhythm and flew to the Arinsal’s finish line. The German propelled himself to the first place with a time of 27’09’’ with a lead of 5” from the the silver of the Italian Davide Magnini, followed by Robert Antonioli (ITA) in the third position. Michele Boscacci (ITA) took the fourth place, unfortunately he had some problems with his sealskins. The top five is completed by the Swiss Martin Anthamatten. 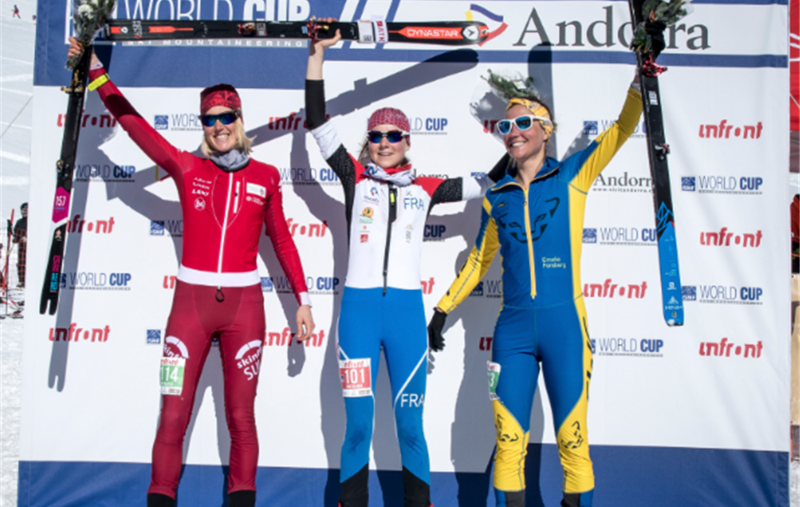 The absolute protagonist of women’s race is the French Axelle Mollaret, followed by the Swedish Emelie Forsberg and the Swiss Victoria Kreuzer. The French gained precious points and crossed the finish line first with a time of 31’37’’. Emelie Forsberg and Victoria Kreuzer fought until the end, but it is the yellow-blue that took the second place (32’15’’). It is bronze for the Swiss with a time of 32’24’’. Fourth and fifth positions respectively taken by Fanny Borgström (SWE) and Katia Tomatis (ITA). The winner title for Junior men’s category goes to the Italian Andrea Prandi, while it is Ekaterina Osichkina who dominated the Junior women’s race. Davide Magnini (ITA) and Johanna Åström (SWE) won the first place for the special Under 23 category. The SkiMo White Circus takes a one week-end break. See you soon on February in Puy-St. Vincent (France) for a two new exciting challenges, Individual and Sprint races.